is this considered like a bank token? 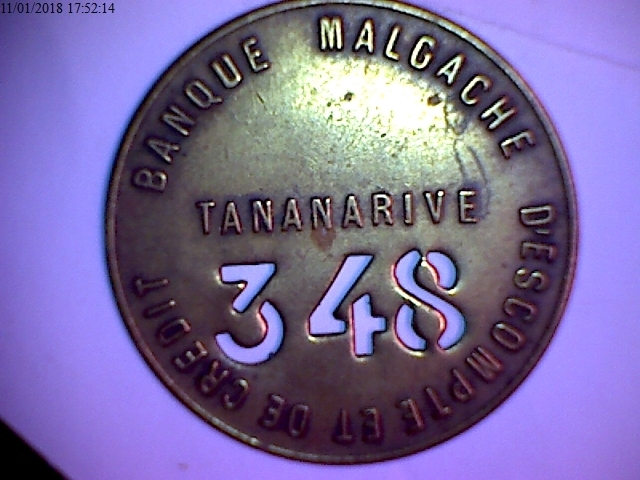 It is without doubt a token of a bank. I think the most likely way it was used is for people who had a numbered private locker at the bank. After identifying themselves to a trusted employee upstairs, they would have been sent downstairs with the token, where, upon presentation of the token, a guard would give them access to the room and give them the keys to their private locker. In this way, the keys could be kept at the bank and the guard could not connect a locker number with a client name. This would be good practice if your guard needs to be a wardrobe-shaped big bully with a baseball club or if there is so little demand for access that it is not economical to post a trained bank employee downstairs. 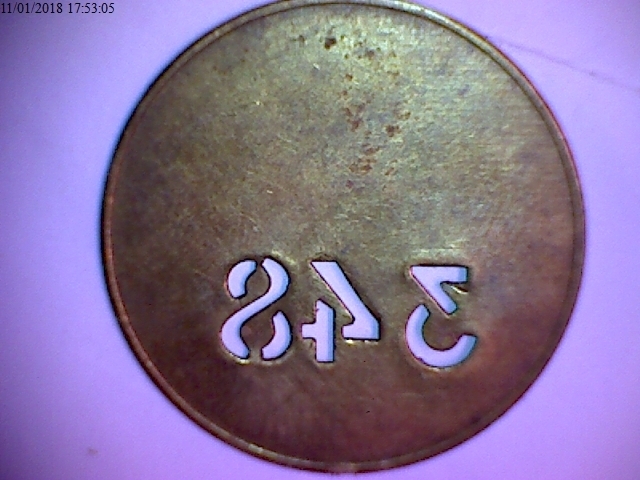 A less likely possibility (the token looks too good for this option) is that the token was given to a client for identification at the cashier's window. This was accepted practice in Indian banks. I prefer the second option - a queuing token. maybee this association intersted you ? I'll save the image and size etc.